Somaliland Wants To Make One Thing Clear: It Is NOT Somalia : Goats and Soda The breakaway republic has not received international recognition. Its foreign minister says that's slowing down delivery of aid to the drought-stricken territory. Somaliland celebrated the 25th anniversary of its declaration of independence with a parade in the capital city of Hargeisa on May 18, 2016. Somaliland's Foreign Minister Saad Ali Shire is clearly frustrated. Somaliland is being hit by a regional food crisis that the U.N. has described as one of the largest humanitarian emergencies since 1945. More than a million of Somaliland's four million people are at risk of starvation yet relief has been slow to come. "We are being treated unfairly," Shire says seated in a conference room of a consulting firm in downtown Washington, D.C. He's in town lobbying American lawmakers for what has become his perpetual cause — official recognition of Somaliland as a nation. "You know by lumping Somalia and Somaliland together, it is slowing down the delivery of assistance." Somaliland declared its independence from the failed state of Somalia in 1991, but the world ... for the most part ... has ignored the declaration. 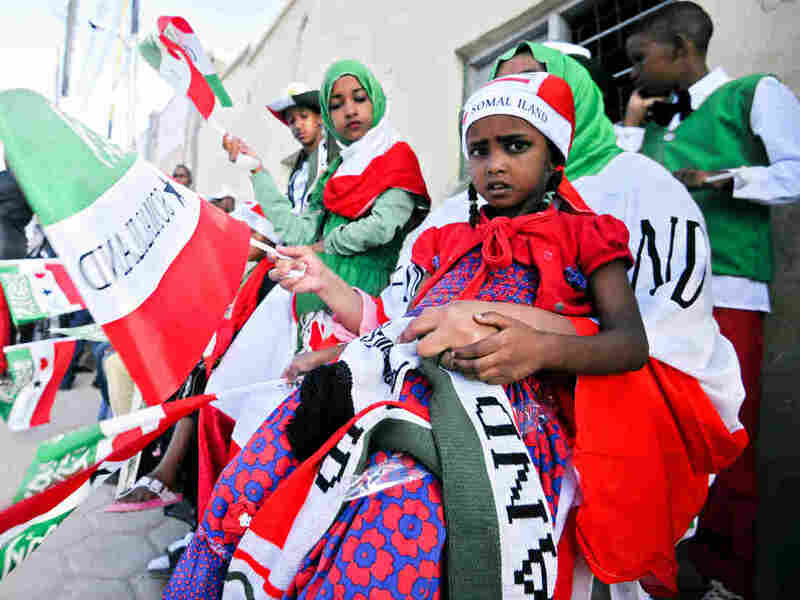 The similar names are rooted in colonial history: Somaliland became known as British Somaliland in the 19th century, while the southern region was Italian Somaliland. "We have a functioning democracy. We have our own army. We have our own police. We have our own coast guard. You know, we have our own border police. We have fulfilled all the conditions of a sovereign state," Shire says as he ticks through why Somaliland is its own nation. And there's more. Somaliland has its own currency. It regularly holds elections. "The only thing that's missing is the sovereign recognition," he says. 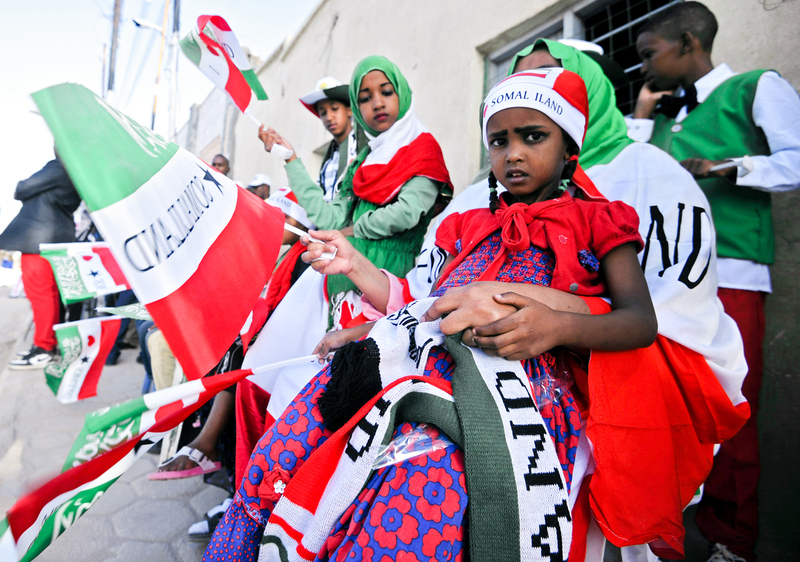 Bronwyn Bruton, the director of programs and studies at the Africa Center at the Atlantic Council, says the international community has been uninterested in recognizing Somaliland as a new nation for several reasons. Quite frankly, she says, the first is apathy. Somaliland doesn't have oil or other resources to make other players on the international stage care about it. Second, she explains, is the belief that recognizing Somaliland would undermine international efforts to get a functioning government in Mogadishu, which Somaliland broke away from. "The international community led by the United States and Britain has put a lot of time and effort into trying to build a government in Mogadishu," Bruton says. "And it's perceived that if Somaliland were to be granted its separation it would reflect poorly on that nascent government." Finally the African Union doesn't want to encourage independence movements in other restive regions around the continent. "The only thing that's missing is the sovereign recognition," says Saad Ali Shire, foreign minister of Somaliland. Foreign Minister Shire says lack of recognition is impeding what has already been a slow international response to the food crisis in Somaliland. Aid from international agencies is being coordinated and routed through war-ravaged Mogadishu — the Somali capital 900 miles to the south. "It is affecting us in many ways," Shire says. "We are not present in the forums in which these [aid efforts] are discussed. We cannot access bilateral aid. We cannot get loans. We cannot attract international investors." Because it's not officially a country Somaliland isn't eligible for loans that the World Bank makes to poor nations. It can't get in on other assistance programs that are traditionally delivered to governments. Somaliland broke away from Somalia to keep from getting sucked down as Somalia disintegrated in to a failed state in the 1990's. It lacked any central government from 1991 to 2006. Pirates took to terrorizing ships in its waterway. Islamist militants set up shop. Somalia is still one of the world's most dangerous countries for international aid groups to work in. And Somaliland continues to be tarnished by its former partner's woes. When aid groups consider working in Somaliland, officials at their head offices in Europe or the U.S. often treat the project as if it's occurring in Mogadishu. "For example a U.S. NGO will go to the State Department website," Shire says. "They look at the traveler advice [for Somalia] and they would be dissuaded by what they see on the screen. This really does not reflect what's on the ground in Somaliland." Africa specialist Bruton says Shire's frustration is justified. Somaliland, she says, has created a relatively stable enclave in a turbulent part of the Horn of Africa. 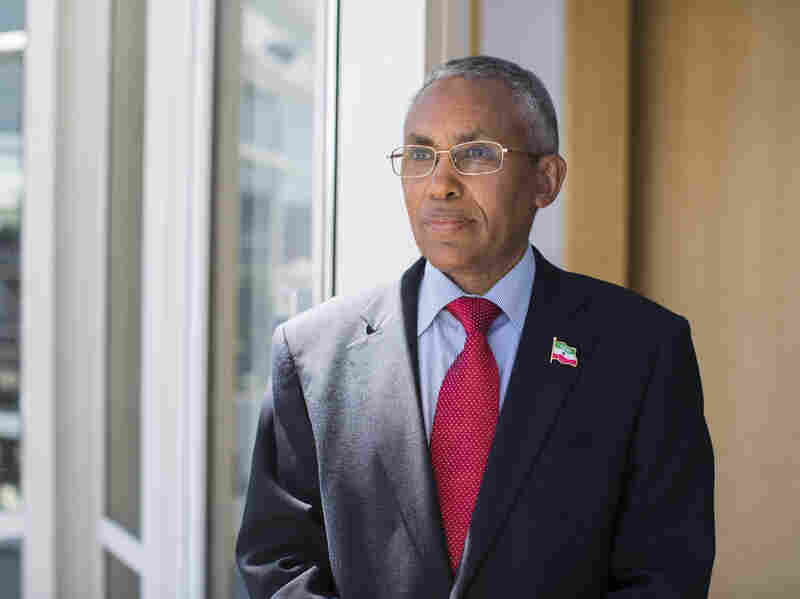 "Somaliland gets a ton of good press for being stable and kind of a peaceful island in a sea of violence that is Somalia," Bruton says. "The reality is that unlike southern Somalia, where you have a lot of violence, Somaliland is essentially a single clan territory. And so what's happening is it's being run as a traditional clan democracy." This has its drawbacks if you aren't part of the dominant clan, she points out, but one of the upsides is stability. "Somalilanders have made an excellent case that because they were a British rather than an Italian colony, they were never really part of Somalia and so they have a right to be separate," Bruton says. The two colonies merged after they each won their independence from the Europeans in 1960. But she says African nations worry that Somaliland secession from the rest of Somalia sets a dangerous precedent on the continent. Foreign Minister Shire says what's dangerous for Somalilanders right now is to stay in international limbo. The lack of recognition is impeding international relief, he emphasizes, and stymying development. Bruton at the Atlantic Council says he definitely has a point: "Somaliland is effectively being held hostage to the chaos in southern Somalia, Which is grossly unfair."